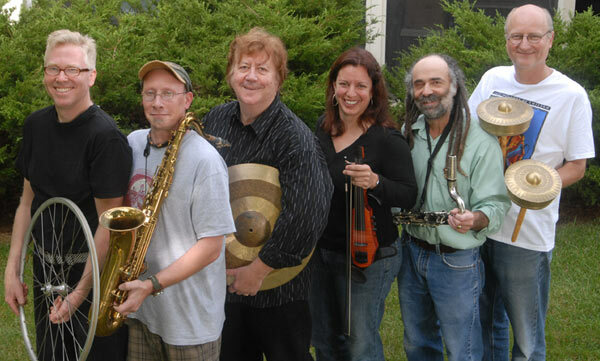 ONE	is an improvisational group founded in January 2009 when its members met at Milwaukee's Woodland Pattern Book Center participating in an event entitled Creating an Ensemble Voice: A Workshop in Collective Musical Improvisation and led by Hal Rammel. Only two had played together previously, Carl Raven and Frank Marquardt, in their group Collective Neurosis. Nevertheless, they all felt an instant rapport and were determined to continue playing when the workshop sessions ended, the grand finale of which was a well-received public performance at Woodland Pattern. Musical influences include "everything from all continents, all eras, all species!"